It’s the perfect time to shop for gifts. We got up close and personal with some of our favorite pieces from the shop, so you can visualize how beautiful a gift each would make. Anyone who’s cooking this season deserves gifts that are not only useful, but beautiful. We picked out beautiful accessories that will be put to use while elevating the space. Malibu Farm Cookbook is a classic. Sure it’s pretty, but the recipes are an ode to California with a deep appreciation for fresh produce. A small potted plant is always a no-brainer when you’re giving gifts. Make it personal to the kitchen with the most realistic faux basil drop-in, and the pretty speckled Monet Pot. The most darling Salt Cellar comes with a little scooper, and we want to put one in every kitchen we enter! 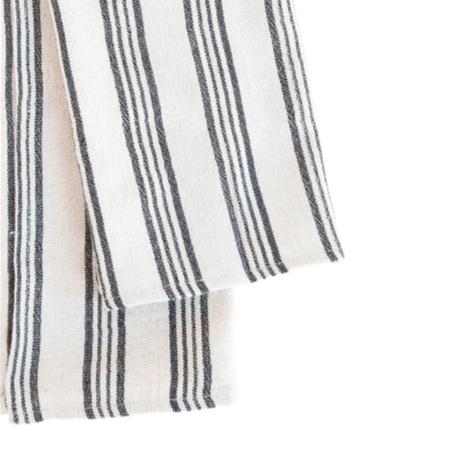 Our Clairemont Hand Towels are versatile enough to blend in almost every kitchen, but we love them for the beautiful texture that makes them feel high-end, they’re hand made with 100% cotton! 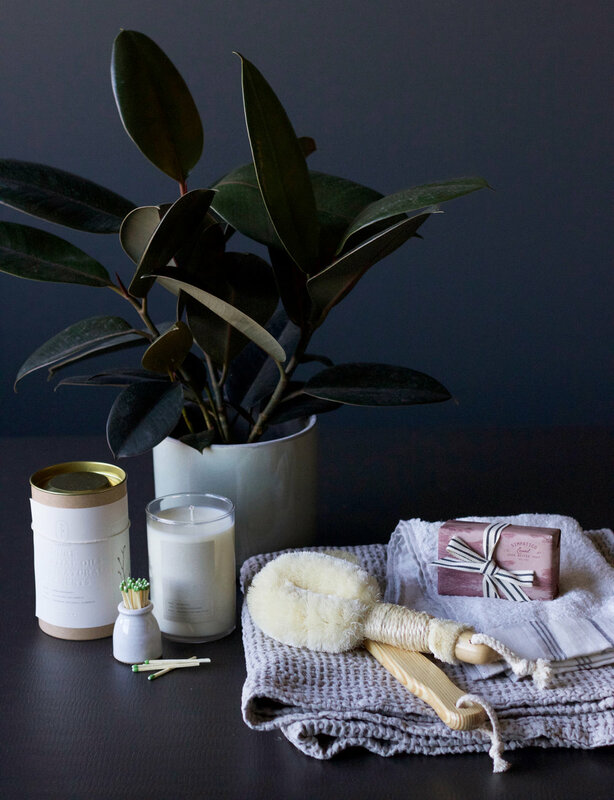 Whoever is doing all the hosting deserves gifts that make the home feel luxurious. If they’re hosting you, challenge them to keep all these goodies for themselves. Let them feel like they’re on vacation in their own home! Everyone in the office is taking turns snatching the Elemental Candle. It comes in two amazing scents, and the packaging makes it a piece of decor on its own. Not only is our milk bottle match striker darling, but it makes life so much easier, as the bottle is a striker itself. Create a spa-like experience for your loved one with a beautifully packaged bar soap and bath brushes. Sure, a potted plant tends to be a popular choice during the holidays. But it’s for good reason! Gift your loved one with the scents and smells of the great outdoors, and provide them with a beautiful pot or planter they can restyle again and again. Everyone appreciates something pretty. We picked out our Raffia Edge Bowls because they have beautiful Moroccan elements and come in two soft colors. It’s the perfect place to store earrings, pins, etc. We’re still carrying jewelry in our California store, grab some while it lasts! Our Luxe Room Spray scent was scouted by Shea, and the scent is just to die for. Both scents are so dreamy for the winter time. T’is the season! Green is a beautiful color year-round, but it’s especially gorgeous in the winter. We’re dying over these brie bakers. Throw brie in there during a dinner party, or keep them on display even if they’re empty. Topped with a wooden spreader, it has beautiful artisan appeal. 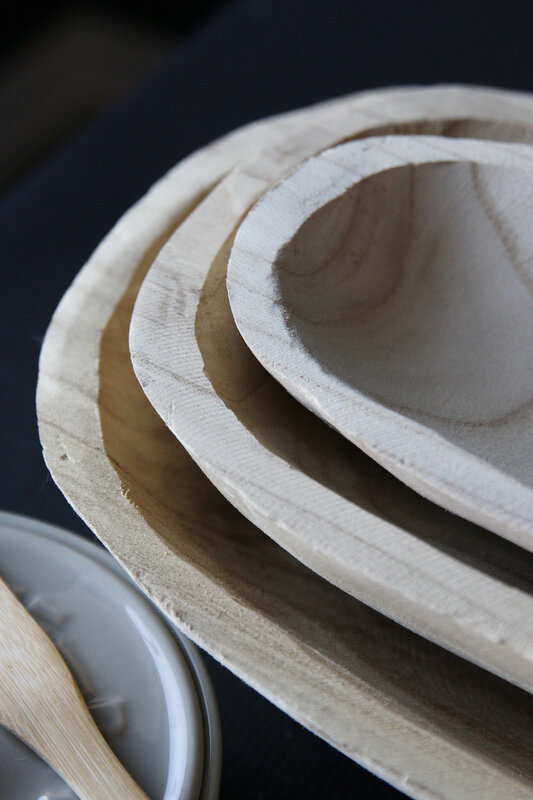 Oblong Bowls are big, rustic, and versatile. 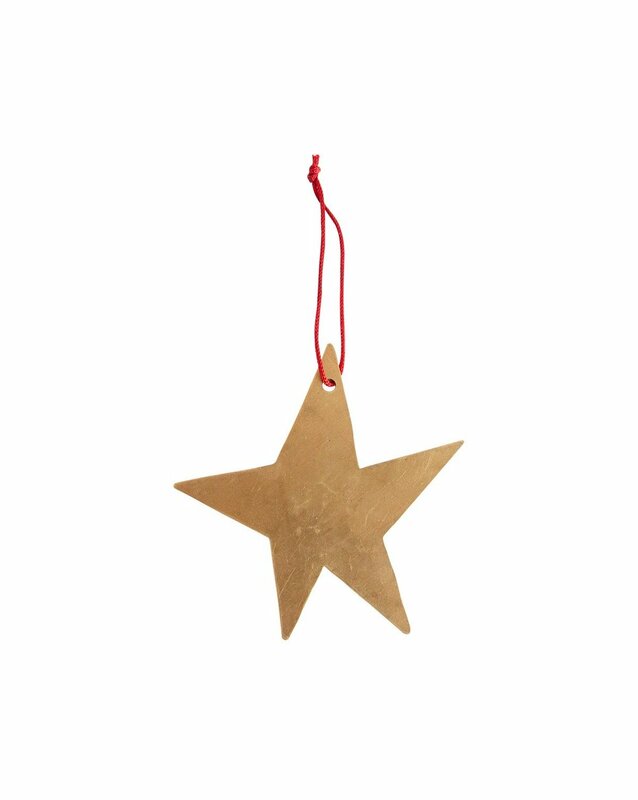 Fill them with ornaments as decor, or use in the kitchen. They’re substantial enough to fill a large open space, and even look beautiful empty or stacked together. 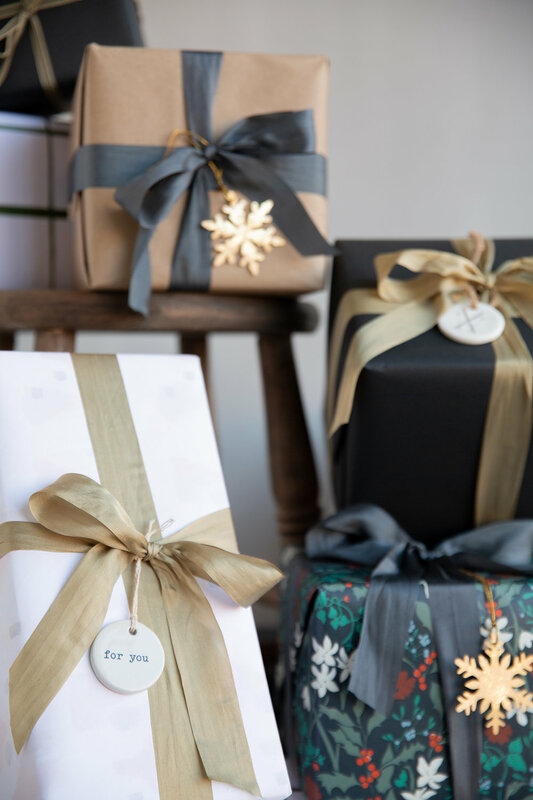 Make each gift feel thought out and special with the proper ribbons, tags, and details. 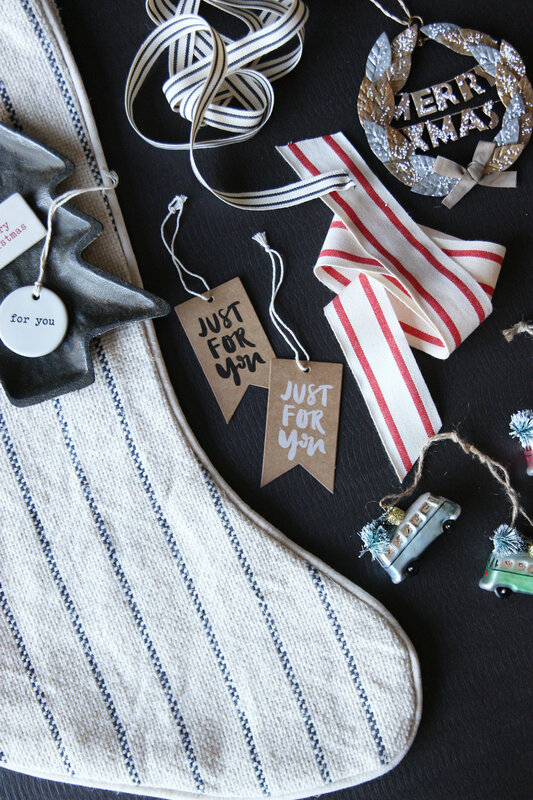 We love to tie an ornament over each hand tag. It’s a pretty embellishment and a bonus gift!